Apple has a new camera compatibility page for iMovie '11. It features drop-down menus that make it a lot easier to find the kind of camera you're interested in using. You can browse by device type, manufacturer, video format, and storage medium. This is a much more convenient approach than the old iMovie '09 compatibility page. New audio editing tools. It took some time, but it looks well worth the wait. The audio editing tools look easy to use but also seem to get out of the way when you don't need them. And audio effects that make my kids sound like Darth Vadar? Can't wait. People finder. If it works as advertised, it will some projects, like birthday tribute videos for my kids, that much easier. I love Faces in iPhoto. One-step effects. I've used the flash and hold effect a lot on past projects. I'm so excited to be able to do it seamlessly with one click. Of course, there's still the movie trailers, new themes, and all kinds of new publishing options. Can't wait to get my hands on it. * How to import videos for editing *on* your iPhone or iPod, including videos from YouTube, DVD, and iMovie for the Mac. * Audio tricks like working around the one-song limit in iMovie or narrating a voiceover track. * Detailed advice for shooting the best videos and photos with your iPhone or iPod Touch. 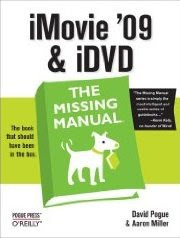 * Advice on sharing your movies in just about every way you'd want to share them, including burning to DVD and posting on other video websites like Vimeo. I'll post some excerpts from the book, but if you're ready to pick up a copy now, visit this link using your iPhone, iPod Touch, or iPad. PS - We did a bunch of stuff under the hood to make reading the book incredibly pleasant, things we haven't seen any other iBooks publishers doing. For example, we used custom stylesheets for the iPad and iPhone to optimize the way the book displays on both devices. We also made plenty of great looking captions, sidebars, and images like you'd expect for any great how-to manual. "Apple of My Eye" - an iPhone 4 film - UPDATE: Behind the scenes footage included from Michael Koerbel on Vimeo. iMovie for iPhone: How much footage can your iPhone hold? The last thing you want to happen is to be out on vacation, relying a lot on your shiny new iPhone 4 to capture your kids' fleeting moments, and find out your magical little powerhouse is full to the brim. I guess you'll have to tell people about the Disney Teacup Ride Incident rather than show them. Now that the iPhone 4 is out, and the thing shoots pretty impressive 720P HD video, we can figure out just how much footage your iPhone can hold as you're out and about. 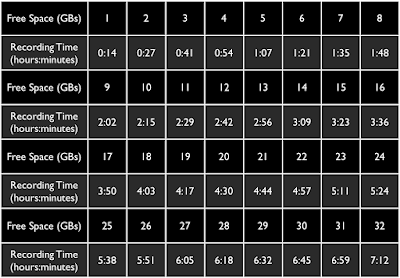 The iPhone 4 records 720P video using the H.264 video codec at a little over 10 megabits per second. The sound is recorded as mono AAC format at 44,100 Hz. Without showing my work, what you basically need to know is that one minute of video clocks in at about 75 Megabytes. So let's say that I have a 32GB iPhone 4, and about half of it is filled with apps, movies, and music, leaving me with 15GBs of free space. In all, I could shoot just over 200 minutes of video, or about 3.3 hours. Is that enough? For most people, it's more than enough. In my short time working with it so far, it's clear that iMovie for iPhone simply isn't designed for making really long movies. So, three hours of footage would either mean 1) a project that's way too long, or 2) way too much video to sort through. This all changes a bit if you're using a 16GB iPhone 4 that only has a few GBs of free space. In that case, you might need to manage what you put on your iPhone a little more. Still, just a few GBs of free space can give you room for 30-40 minutes of footage. Of course, don't forget that you can always take the video off your iPhone and put it onto your computer. This means it won't be there for editing in iMovie for iPhone, but then that's why you have the much more powerful iMovie '09. I'll leave you with this handy reference chart to know about how much footage you can fit with the free space available on your phone. 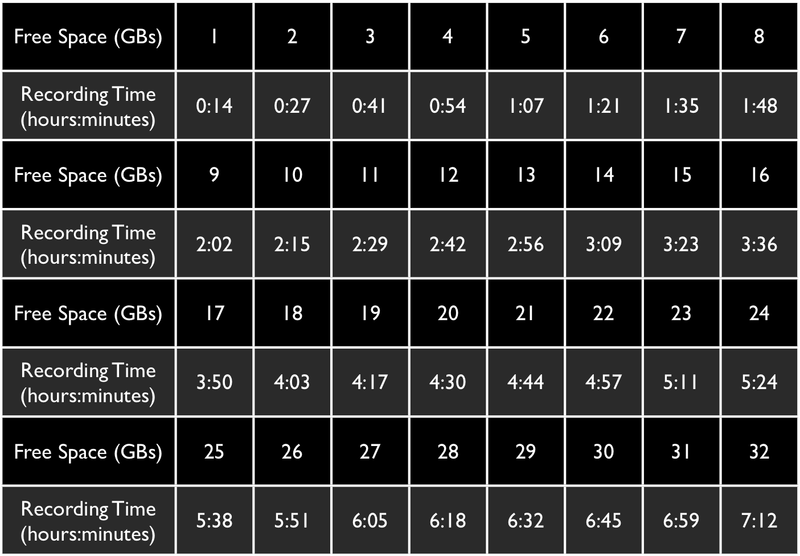 Remember, because the iPhone records at a variable bitrate, these times are approximate. Apple put iMovie for iPhone into the App Store last night. Along with that, they've posted a whole series of questions and answers about how the app works. If you're fascinated by the tiny details surrounding iMovie for iPhone, here is a good place to start. iMovie for iPhone: It's going to be big. iMovie community, I hope your bathrooms are clean and that your fridge is well stocked. You're about to get some new move-ins. 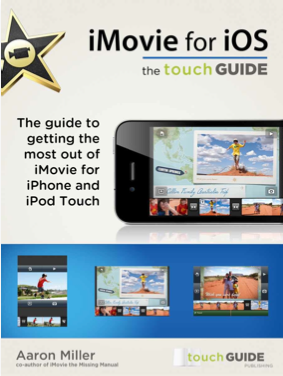 With the introduction of iMovie for iPhone, Apple is welcoming millions of new iMovie users, in one fell swoop. Millions of people who've never used iMovie before will be using the iPhone version by the end of the month. That's just plain amazing. I hope Randy Ubillos and the iMovie team realize how cool this is. Apple is pushing the iOS to new heights. Putting the iWork apps on the iPad was a good first step, but iMovie on the iPhone is mini revolution. iMovie has always been one of Apple's flagship products, a hallmark of what makes the Mac great. I still remember my 1999 iMac DV, which came with iMovie preinstalled. It was a pivotal moment that laid the groundwork for the YouTube generation. That Apple figured out a simple, but capable way to put iMovie on an iPhone marks another big change: the day when the iOS is no longer just a way to surf the web and play $.99 games. It's a big move from enjoying stuff to making stuff. I was one of the lucky 600,000 people who got an iPhone preorder in before Apple started pushing back shipping dates. (Who'd have thought that being one of over half a million people made you lucky?) That means I'll be sharing tips, tricks, and thoughts about iMovie for iPhone as soon as it's available.